If you love French culture, chances are you associate it with high fashion, gastronomy and of course the Eiffel tower. Well, that’s not all there is. When it comes to food especially, believe it or not, the French do not eat a 7-course dinner every day (sorry to disappoint). They even eat industrial foods sometimes (no one is perfect ok?) 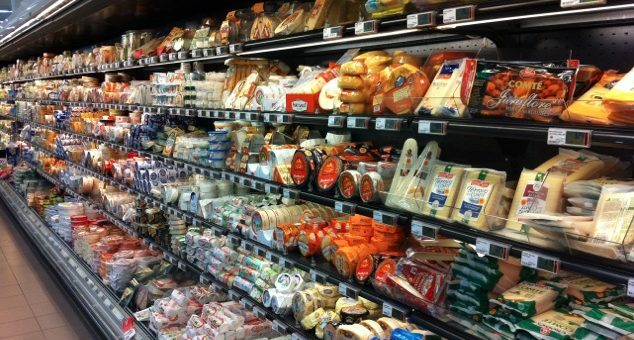 Here is a roundup of some of the most popular industrial food and beverages you can find in French supermarkets. Nutella: the Italian brand is found in many French households. It is consumed over fresh bread or brioche, for breakfast or snack. It is also a very popular thing to put over crèpes or gaufres (waffles). Petit Beurre: this is one of the many cookies made by the brand “Lu”. Côte d’Or: the chocolate aisle in France is very different than in the US. You can find more “real” chocolate vs. more “candy” chocolates sold in the US. There are several brands, the most popular one being the Belgian brand Côte d’Or. Herta: a ham brand, great for the classic Parisian sandwich (butter + ham on a French baguette). Kiri: these are square bites of cheese, super popular amongst French kids. Panzani: this is the first pasta brand in France. Families usually stock up on pasta so chances are you will find at least one pack at your French friend’s house. Cristaline: This is the most bought water brand in France. Next time you go to France, try finding these. Until your next trip, you can pass by Atelier Monnier in Miami to get that French vibe. Also check out our Instagram for french food updates !